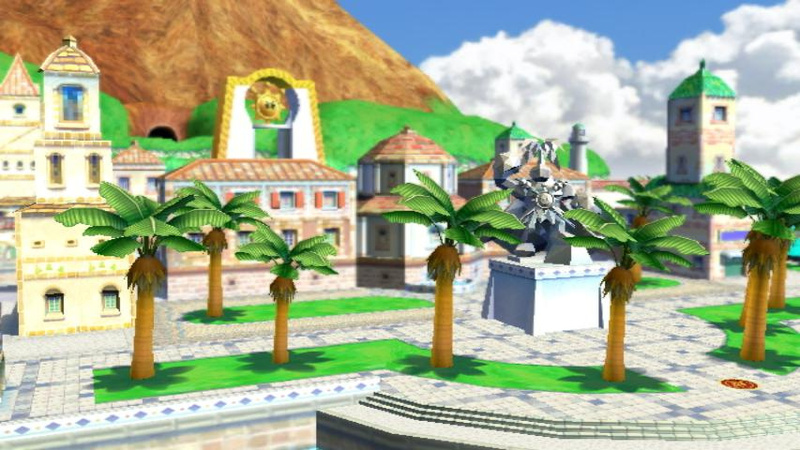 Welcome to the sun-drenched tropical paradise of Isle Delfino! Nintendo and Square Enix team-up Fortune Street is bringing the best of both franchises to its world of board games, with new screenshots showing some of the familiar sights you'll be trying to conquer with the upcoming Wii game. The game takes in spots of Mario history, starting from the classic World 1 from Super Mario Bros. and going right up to Starship Mario from Super Mario Galaxy 2. In between there's a spot of Isle Delfino, Mario Circuit and more. Fortune Street is out next month in North America, with a European release — under the name Boom Street — set for 6th January. 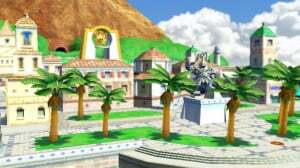 The model is identical to Brawl one... Man. Why? Square-Enix really know how to replicate Mario locales. These replicas look great! Because just Mario Party isn't enough, darn it. 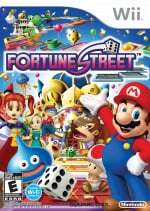 The Japan's Fortune Street Website has most of the characters, through 2 are yet to be revealed on each side. I'm not going to make a big deal out of it.. but I think they should make new character art like they did in Mario Hoops 3-on-3..
i think this is going to turn out to be a good game- definitely was a surprise when this was announced earlier this year. different, yet hopefully very enjoyable as well. Am I the only one who, when reading the headline on the news page, thought a real life town was going to be designed after a Mario Sunshine stage? I don't understand this game. I want to. 'Cause I think I might like it. But so far... nope. It's basically Mario Party's board game aspect blown up to a much larger proportion and given Dragon Quest characters. Fortune Street reminds me of the Command Board game from Kingdom Hearts Birth by Sleep. Is Fortune Street exactly like the command board game? If it is then I know what game I'm gonna get in December. If this was a platformer I would love it to bits.